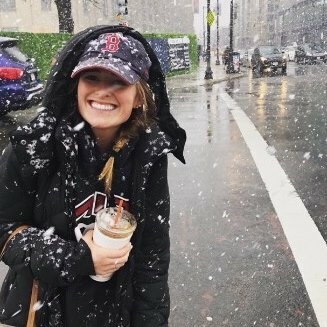 Hopkinton High School graduate, Ella Cornu, will run her first Boston and first marathon for her hometown Library! Longtime Hopkinton resident, Todd Snyder, will also run his first Boston and marathon in support of Hopkinton Public Library! Shivam Parikh will run his 21st marathon at Boston, and achieve his goal of running all six of the largest and most renowned marathons in the world! Please click on the pages of Ella, Todd, and Shivam under the Boston Marathon tab (above) to read their stories and to support their marathon effort for our Library. Visits to Hopkinton Public Library Increased Dramatically During First Year in New Building! 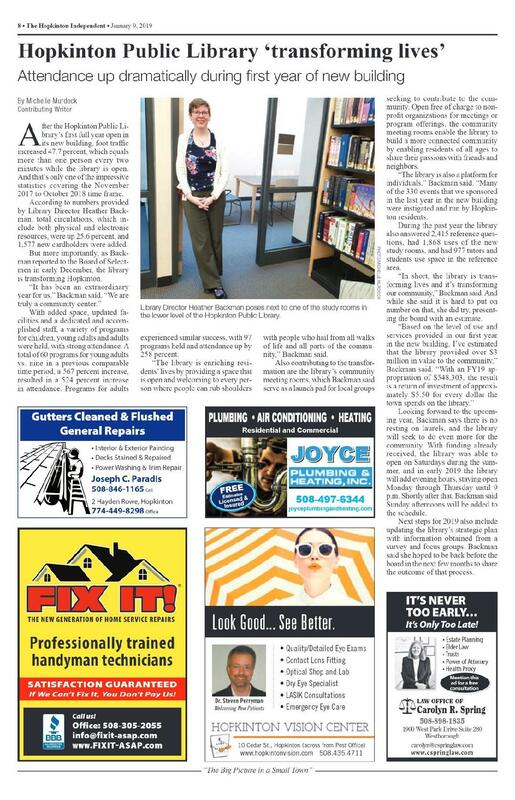 As reported by the Hopkinton Independent in its January 9 edition, attendance at our Library increased dramatically in the first year in the new building! Comparing the year before the renovation and expansion to the first year in the reopened Library, visits increased by nearly 50%! In addition, visits to just the Children’s Room increased by 110%, circulation increased by nearly 30%, attendance at adult programs increased by over 250%, and attendance at Young Adult programs increased by a whopping 523%! Since re-opening, the Library added 1577 new borrowers, the new study rooms were used 1868 times, and the Library returned over $3 million in value to the Hopkinton community. On the weekend of October 26-27, Hopkinton Public Library hosted a series of events to celebrate the one year anniversary of its re-opening after a $11.7 million expansion, restoration and renovation. 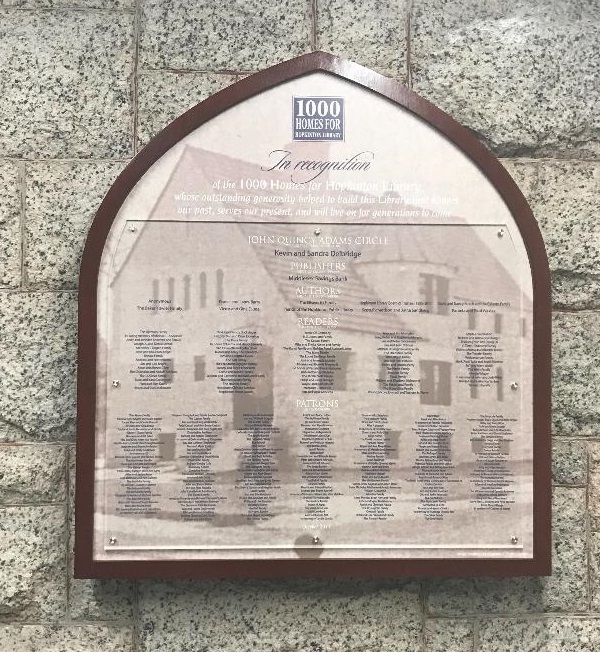 Hopkinton Public Library Foundation dedicated the 1000 Homes for Hopkinton Public Library Plaque. 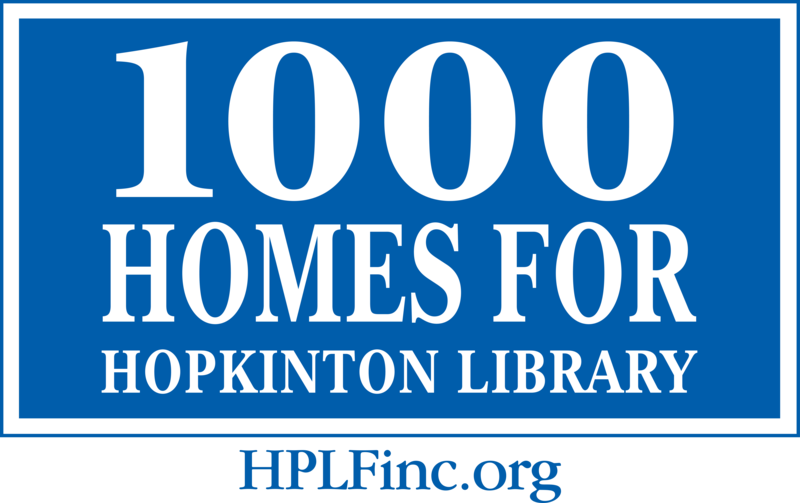 Since 2013, hundreds of Hopkinton families and local businesses joined “1000 Homes for Hopkinton Library” by giving or pledging $1,000 (or more) to the Library project. Many also claimed a Naming Opportunity, which allowed individuals, families and businesses the opportunity to affix their name to a permanent piece of our new Library via an individual plaque. Through both of these programs, the Hopkinton community gave nearly $700,000 of the $1 million raised for the Library renovation and expansion.